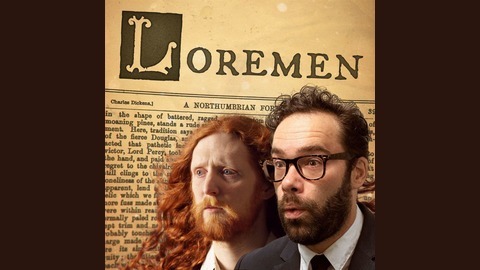 Join the Loremen (James Shakeshaft and Alasdair Beckett-King) as they "investigate" local legends and forgotten folklore. In this final episode of series two we come bang up to date (to the 1970s) with a North Eastern tale of Celtic effigies. Then we narrowly avoid Royal slander to chat about the incomparably named "Mickleton Hooter". In a way, this episode ties a lot of threads together - Parcy Reed (S1 E1) gets a shout out, the Screetonizer (S2 E6) shows up again, there's a Dun Cow (S1 E6) and even the Mickleton Hooter lurks in the shadow of Meon Hill (S2 E7). We are terribly sorry there is no mention of Chekhov's Gun in this episode. It's like we referred to it early on in the series but then it never paid off. 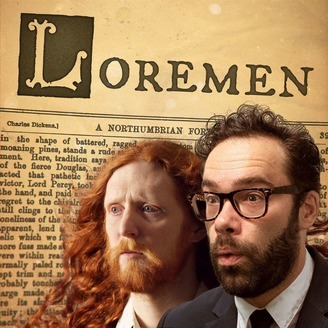 Sorry Chekhov.The Loremen shall return!